"Golf is a hard enough game without questioning if the equipment you are using is correct for your swing. I have been traveling to see Frank for over six years and every club I have been fitted for has increased my confidence in that part of the game exponentially. There is peace of mind in knowing that the shot you are about to hit is completely controlled by you and isn’t influenced by an issue with your club. Of course, this also gives you no excuses! Frank offers the ability to demo a number of the best brands on the market and dozens of the latest shafts in various flexes. His knowledge of every club and component in his shop gives you confidence that you are going to leave with the best head/shaft combination out there. I can vouch for Frank’s ability to fit irons, hybrids and woods. Frank makes a point of allowing for enough time to try every combination he feels could be a potential fit and I’ve never felt rushed while doing so. I have used other fitting services in the past but haven’t found anything nearly as comprehensive. Once the fitting is completed, Frank builds the clubs perfectly to the specifications discussed during your time with him. 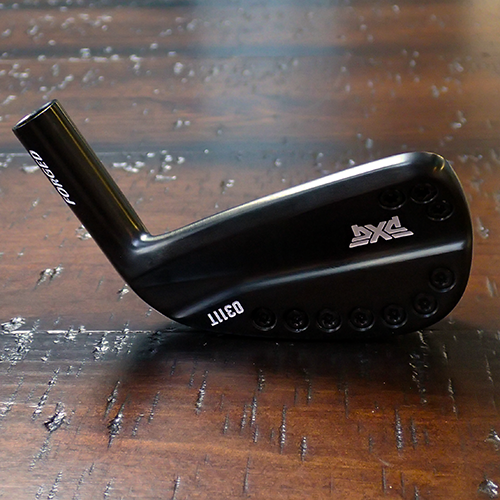 I have purchased multiple sets of Miura irons and during my latest trip I added a set of PXG 0311T irons to my bag. At no moment did I ever feel as if I was being “sold” any particular club or product. Frank encourages you to try everything you would like and then use the launch monitor data to make a decision. If you want to ensure that every club in your bag is fit perfectly or just a few of them, you should set up an appointment. You won’t be disappointed."